ODFW staff are evacuating about 1.65 million coho salmon and 132,000 spring Chinook salmon from Cascade Hatchery today and tomorrow due to the threat of debris flow in areas burned by the Eagle Creek Fire. ODFW plans to move about 500,000 Umatilla River coho and 500,000 Lostine River coho to Leaburg Hatchery, where they will be reared until next spring and then hauled back to the Umatillia and Lostine Rivers. Also, 350,000 Yakama coho will be hauled to Leavenworth National Fish Hatchery and 300,000 will be hauled to Willard National Fish Hatchery. The 132,000 spring Chinook are being hauled to Sandy Fish Hatchery. These juvenile fish (< 1 year old) are being transported beginning this morning in fish transport trucks which have oxygen supplies to help lower stress in the fish and keep them healthy. Bonneville Hatchery has well water available and is not expected to be hit as hard by the debris flow so their 2.4 million fish will remain on site. 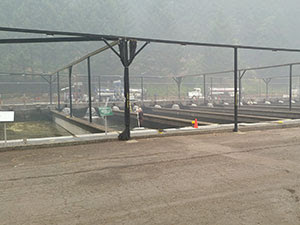 Staff are also weighing options to move Oxbow Hatchery and Herman Creek coho to another hatchery in the state but fire experts feel the Herman Creek drainage is in much better shape than the Eagle Creek drainage. 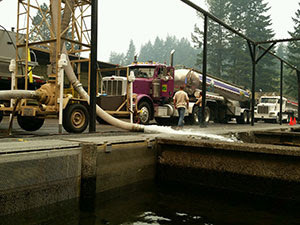 ODFW also thanks ODOT for delivering diesel fuel to power Cascade Hatchery’s generator over the past 10 days. 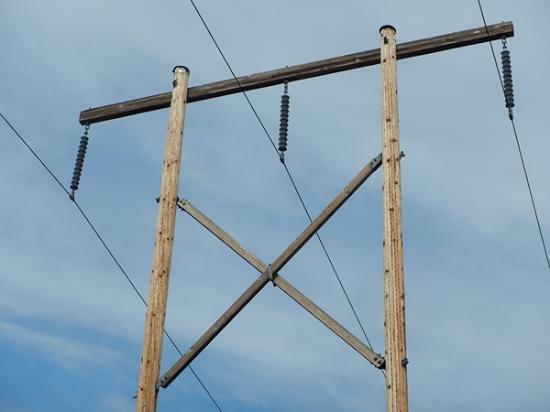 The hatchery has been without power since Sept. 5. 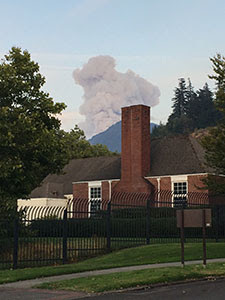 The Bonneville Auditorium chimney with smoke from the Eagle Creek Fire visible in the background on Wednesday, Sept. 13. 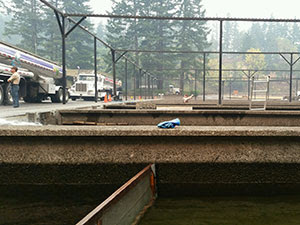 ODFW evacuating fish from Cascade Hatchery today.